Harrison Valley is an unincorporated community in Potter County, Pennsylvania, United States. The community is located along Pennsylvania Route 49 5.9 miles (9.5 km) west-northwest of Westfield. ^ United States Postal Service. "USPS - Look Up a ZIP Code". Retrieved August 5, 2017. ^ a b "Harrison Valley". Geographic Names Information System. United States Geological Survey. 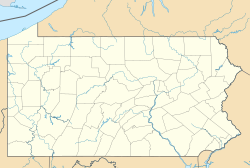 This Potter County, Pennsylvania state location article is a stub. You can help Wikipedia by expanding it. This page was last edited on 15 January 2018, at 08:53 (UTC).